We recently reported that Netflix is planning to somehow boost its production of original programming by so much that original content encompass 50 percent of the streaming service’s offerings. Netflix itself acknowledged that it would be tough to reach that goal in anything less than a few years, but according to a report from Exstreamist, there’s a reason it might actually be easier to pull off than anyone would think. 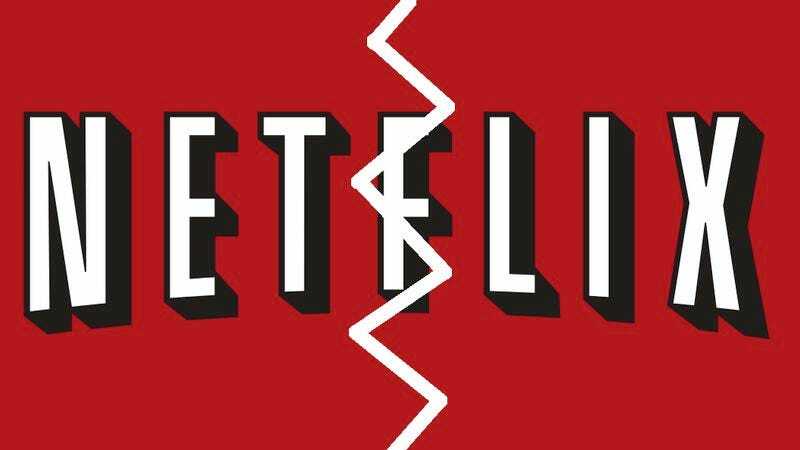 There’s no hard evidence to back this up beyond that report’s anonymous sources, but the total number of titles in Netflix’s streaming library has supposedly been cut in half since 2012—meaning there are simply fewer things that the Netflix originals have to compete with. Exstreamist suggests that Netflix’s increased focus on original content is making it less-inclined to pay for expensive licensing rights, especially when other sites like Hulu are willing to pay a ton of money for something like Seinfeld. Combine that with traditional networks begrudgingly giving streaming a try—but often only with their own apps—and it would make sense that it’s not really worth the trouble for Netflix to keep spending money on content that it doesn’t completely own. Still, losing half of its streaming stuff is pretty alarming—although, once again, there’s no real evidence that the report is accurate—so this move toward original content could be more about desperation than it is about becoming a media empire. Either way, Luke Cage is pretty good, right?